A tropical cyclone, Invest 91E, has been determined by the NHC to have enough going on to be classified as a Tropical Depression, and advisories have started on SIXTEEN in the EASTPAC. 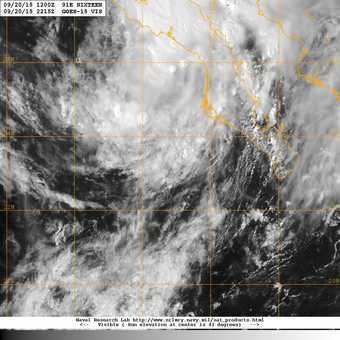 As of its first advisory, SIXTEEN was centered near 25.0N 113.7W with an estimated minimum central pressure of 1003mb and maximum sustained winds of 35 MPH. 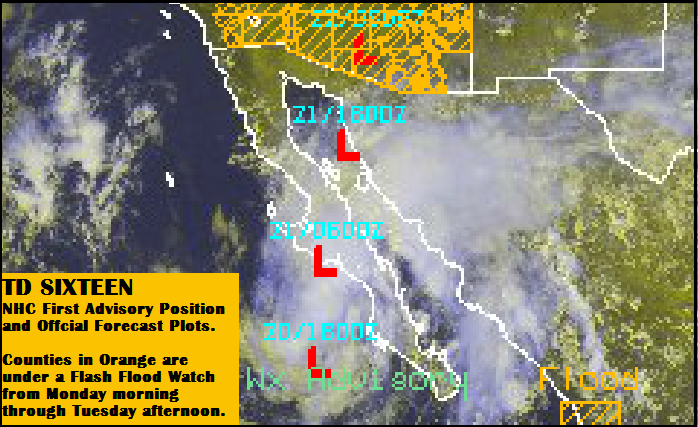 This cyclone has been traveling north-northwest at around 15 MPH recently, and is expected to return to a more northerly track soon, and then north-northeasterly, ultimately taking the center of the tropical cyclone into the Gulf of California on Monday, and then across the Arizona border Monday night. 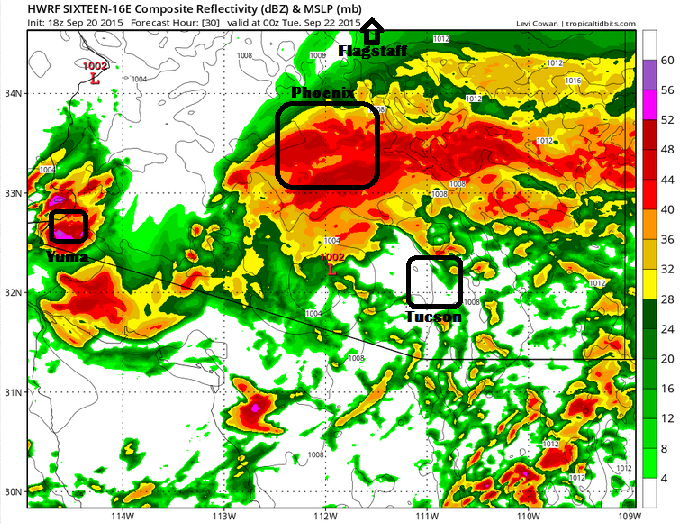 Whether or not SIXTEEN is named, Baja California, northwest Mexico, and the Southwest United States will likely receive areas of copious rains, with some storms even possibly training over the same locations. These tropical rains will likely result in dangerous, even life-threatening floods and mudslides.